Do you know the difference between hope and desire? Do you know the difference between mere wishing and passionate desire? Have you ever wanted something so badly you could almost taste your need? Have you seen how intensely children want things? They want things with all their being. And yet, somehow, by the time we reach adulthood, many of us have lost the power to want anything intensely. I guess that’s because we have desire conditioned out of us. We are told “NO” so many times that we come to believe we can never (or almost never or hardly ever or something) get what we want. Your belief system might end up as “I never get what I want.” “I can’t expect to get what I want.” “It’s pointless trying.” “Why bother?” Or some variation on that theme! Or you might want something intensely for a short while before you lose sight of why you want it, or what it is, or your desire fades away. Has that ever happened to you? And yet…. and yet…. there surely have been things in your life that you wanted passionately? Things that seemed to matter more than anything? And if there have been such things in your life, then you know what true desire means. You want something because the idea of having it makes your heart sing, or because it will allow you to do something you are passionate about. Now, the thing about the human mind is this: desire is the starting point of all achievement, of all attraction, of all manifestation. Of getting what you want. 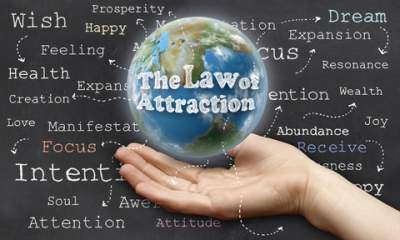 Of making the Law of Attraction work in your favor. Because, without desire, how will you ever find the energy to go out and do what is needed to bring your desire into reality? An entrepreneur isn’t just someone who launches a business; they have a desire to innovate & make positive changes to the world. See what I mean? Do you think Richard made his money without any desire? Without any passion? 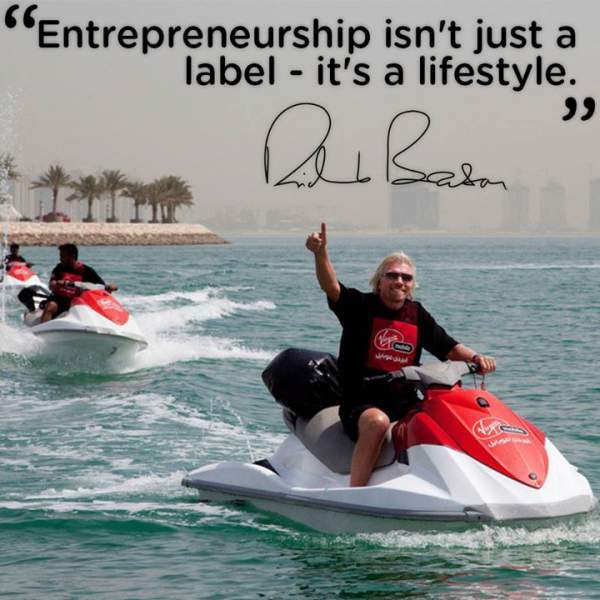 Richard Branson is passionate about all he does. The power of a definite desire, a passionate desire, to achieve anything is the first in step in manifestation. You see, desire is a powerful force which activates the Law Of Attraction. And this desire needs to be unwavering and passionate. This desire is an absolutely burning desire for a certain outcome. Desire alone activates Law Of Attraction principles which alert the universe to your intention. And besides the metaphysical aspect of this, you yourself will see opportunities which you would never notice – or have the energy to pursue – if you did not have your desire to achieve an outcome. By living with intense desire, you prime the world to respond to your vision (see below), and you prime yourself to bring it into reality. Vision? Who Mentioned A Vision? 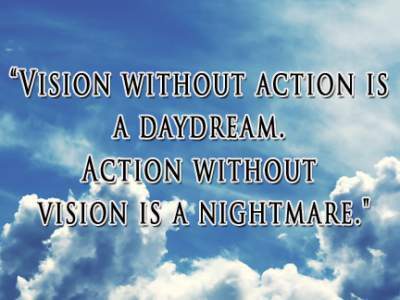 Do you have a vision of what it is you want to achieve? If not, how will you ever be successful? Clarity of your goal is essential – your desire needs to have a focus. And this has more power and fuel for you if it’s something you care about. Richard Branson talks about “making a difference” – he runs a fund which tackles social problems at street level. All he has done has been powered by his desire to make a difference. And he has made a difference. You can guess that at every stage of his business life, he knew exactly what his objectives were. So must you. We’ll look at how you can come up with a vision, a goal, an objective, on another page. 1) Fix in your mind the exact amount of money you desire. It is not sufficient merely to say “I want plenty of money.” Be definite about the amount that you want. 2) Decide exactly what it is that you can give in return the money you desire. According to Hill, there is no such thing as something for nothing. We’ll examine the accuracy of that idea later. But obviously when you know what you’re going to do in return for the money you attract, you’re likely to have a much better chance of getting it. 3) Establish a definite date by which you intend to have the money in your possession. 4) Create a definite plan for carrying out your design and begin at once to put this plan into action. 5) Write out a clear, concise statement of the amount of money you intend to acquire, name the time limit to its acquisition, state what you intend to give in return for the money, and describe clearly the plan through which you intend to accumulate the money. 6) Read your written statement twice-daily – once just before retiring at night, and once after rising in the morning. As you read, see and feel and believe yourself already in possession of the money. Here’s something else you can do to test the reality of your vision. Write yourself a check, courtesy the bank of the universe. Now see if you believe you can get it by the date you set. If not, adjust your expectations. You can do this below. See how it feels to imagine your wealth. Above all, do you believe this is possible FOR YOU? Click on the image and then print it out. This great idea is taken from The Secret website. When I first tried this, I envisioned myself having liquid assets of 750,000 USD in my bank in 6 months’ time from my sales business. And I knew exactly why I wanted this money – to support some members of my family as they stepped up into a home of their own. I’m passionate about that. But as soon as I formed that vision, I knew I didn’t believe it. And belief is everything. So I changed my vision to 375,000 USD – and immediately I knew I could do it. My year end target was 750,000 USD. And yes, it happened. Then I set the next year’s target at 1.5 million USD. Of course, this was still modest, at least by some standards, but you and I can only achieve what we believe is possible. That was my belief system at the time. The Law of Attraction is not just about wanting something with passionate desire! You have to TRULY believe it’s possible FOR YOU. I’ll explain this more in the section about belief. Napoleon Hill made the important point that only those who become “money conscious” ever accumulate great wealth. And it’s extraordinary to read what Hill wrote about opportunity: it is all true for our times today – just as it has always been true, in fact! Hills says those who are afraid of new ideas are doomed before they start; there has never been a time more favourable to “pioneers”than the present. He could have been writing his book right now! For those are eternal truths about Law Of Attraction and manifestation. For those who have the vision, the desire and the belief, everything is possible. 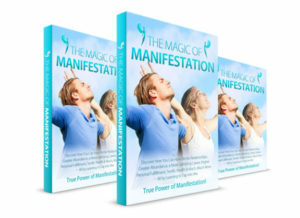 Truly, Law Of Attraction and manifestation work just as well now as they always have. Now, I don’t know if this story is completely true, but I guess it could well be. We’ve all heard of “Colonel” Harland Sanders, of KFC (Kentucky Fried Chicken) fame. So, one version of the story goes, he woke up aged 65 with a social security check on his doormat for a few dollars and in that moment, Sanders saw his entire future streaming out ahead of him: poverty, scrimping, making do, maybe even living in squalor. Not, by any stretch of imagination, a story of financial success. And his only asset, so he reckoned, was a fried chicken recipe he’d got off his mother. Yet, knowing how delicious his chicken was, he set out on the road offering the opportunity to restaurateurs to buy his chicken recipe in return for a commission on all the chicken sold in their establishment. And, as one version of his life story has it, Sanders had to visit just over 100 restaurants before he got his first “yes”. Sleeping in his car, wearing his one famous white suit, he never gave up. Now let me ask you this: when would you have given up? After the first rejection, or the second or third or tenth, or the twentieth, maybe? I know you have to guess that Sanders probably wasn’t a great salesman! But that isn’t the point. The point is he had the desire; he had an absolute passion for a better future for himself. And a compelling vision of wealth in his retirement. Well, you know the rest of the story. He sold out his US fried chicken chain for millions of dollars and received a salaried job as goodwill ambassador with the new owners. The power of desire is unstoppable. If you look at the history of people who make huge amounts of money, what you find in them is a passion for making money for a reason that makes their heart sing and an unwavering faith or belief in their ability to do so. Do you really have a passionate desire for money, do you really know why you want it? It really is as simple as that – and yet at the same time, of course, you have to know how to do it! Each of those words carries a huge meaning. Each of those words requires you to do many different things. Each of those words requires you to be consistent in your purpose. We’ve looked at desire. But what is belief, then? Let’s find out in the next post.